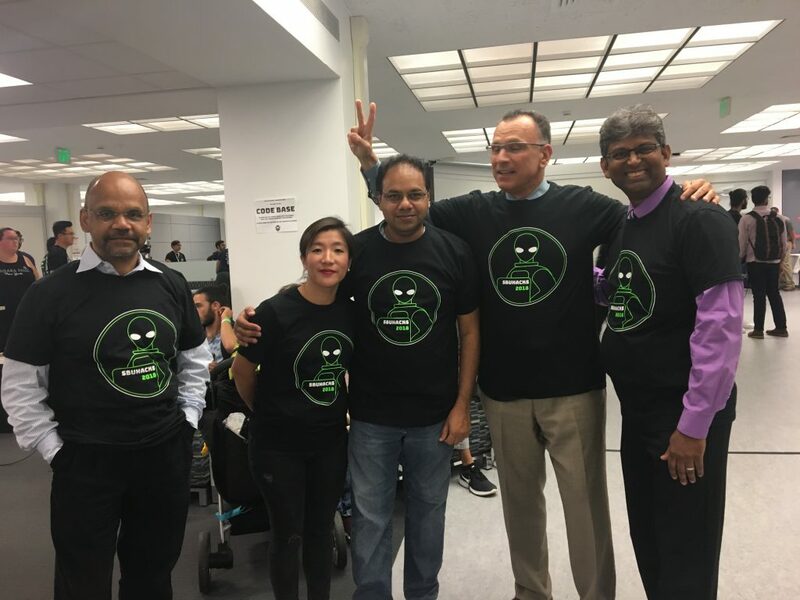 University Libraries teamed up with the College of Engineering & Applied Sciences to host the first all-campus and intercollegiate, space-themed hackathon–the hugely successful SBU Hacks--in the Central Reading Room of Melville Library, September 14-15, 2018. 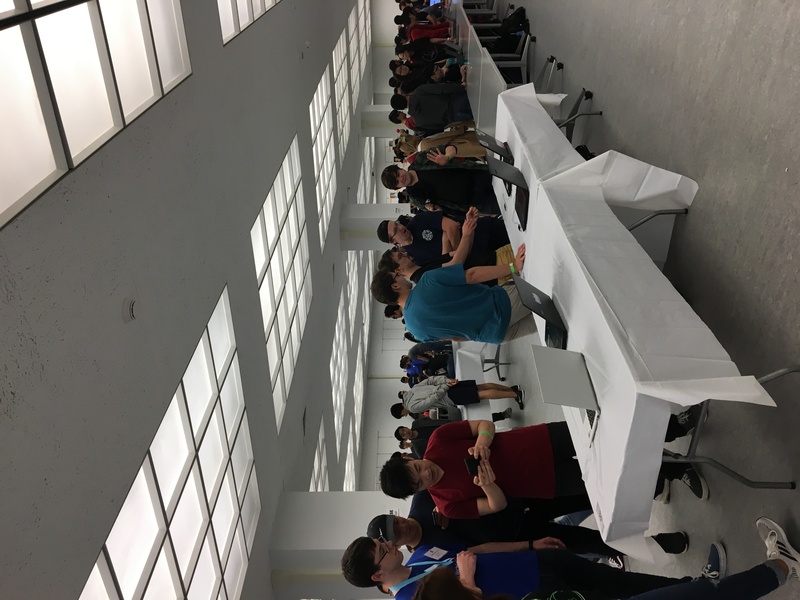 For 24 hours, over 300 students from Stony Brook and as far away as California came to code, network, create, solve problems, compete for awards in over a dozen categories, meet vendors and potential employers, and make new friends. 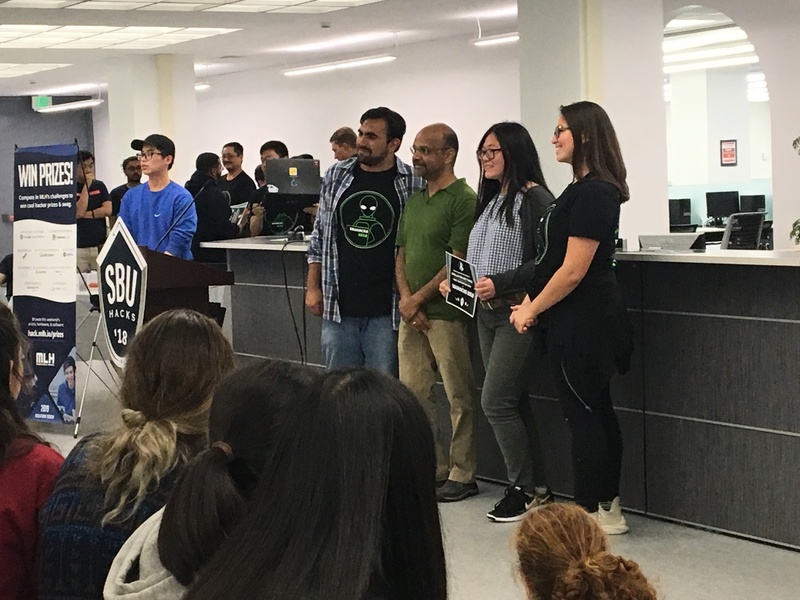 We were so impressed with the SBU student leaders, Rahul Sondhi and Kamile Demir, and the student clubs–Stony Brook Computing Society, Women in Computer Science, Stony Brook Robot Design Team, Stony Brook TV–that met for months to plan this amazingly well-run and inspiring event. 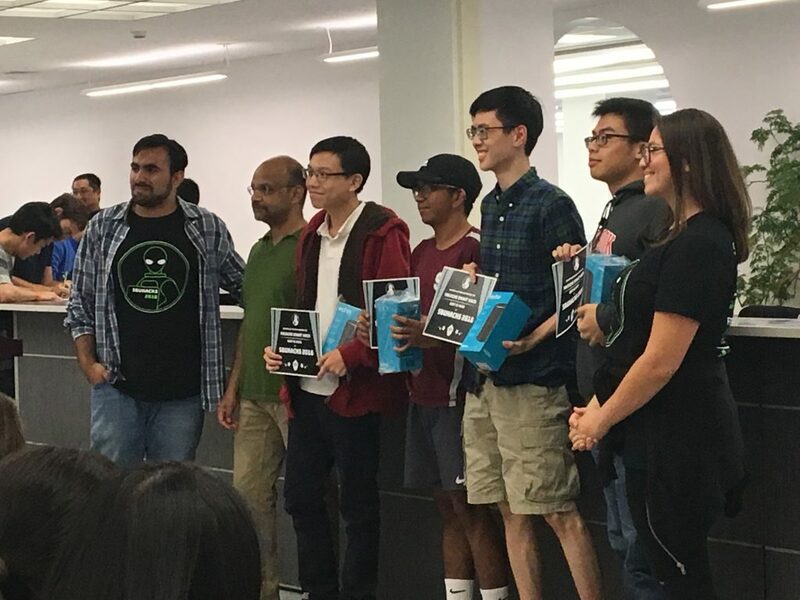 Most, if not all, of the students on the planning committee were veteran hackathon attendees and thought of every detail to make this a safe, fun, and memorable Stony Brook first: more than 10 cool vendors, tech workshops, teambuilding activities, lots of swag, midnight snacks, and games like Hungry Hungry Hippos! 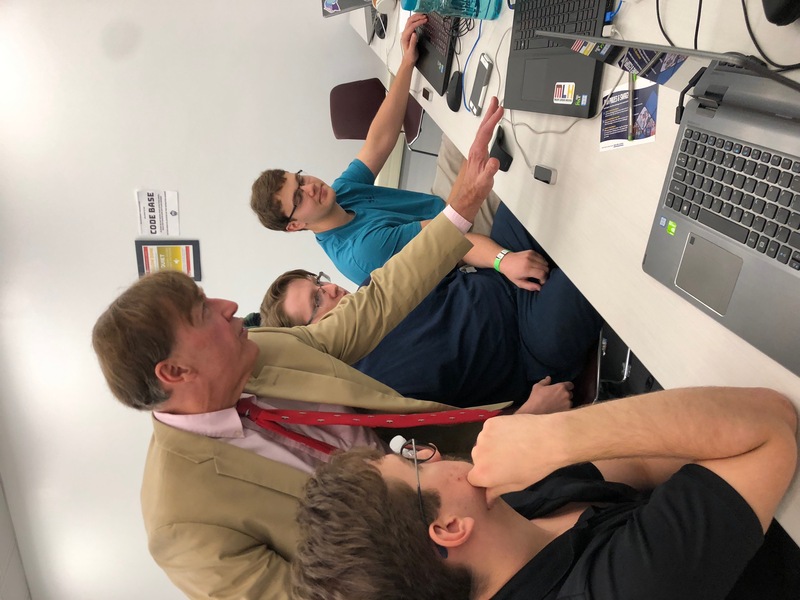 The event was organized with the help of Major League Hacking, the official student hackathon league, and whose co-founder, Jonathan Gottfried, an SBU Alum, was onsite. 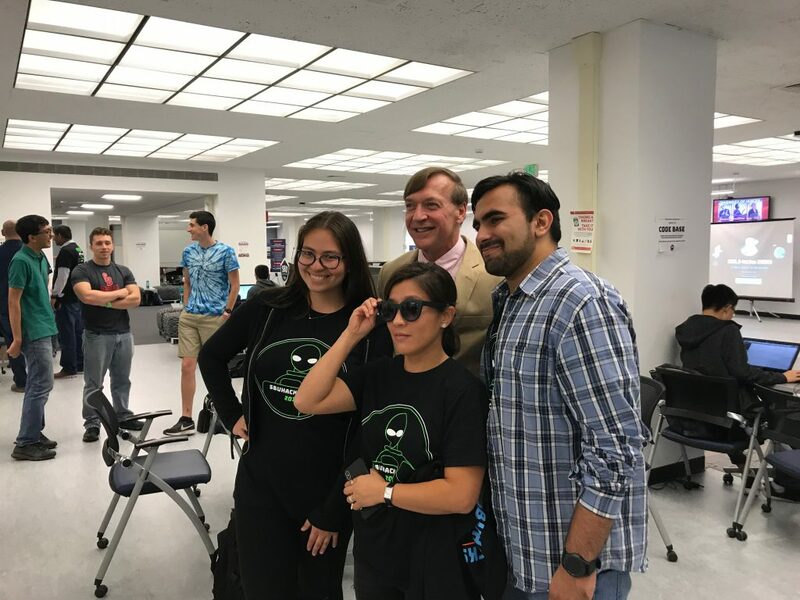 He was especially impressed with the newly renovated Central Reading Room, which was very different when he was a student here, not too long ago, and how conducive its open design and collaborative spaces were to the hackathon. 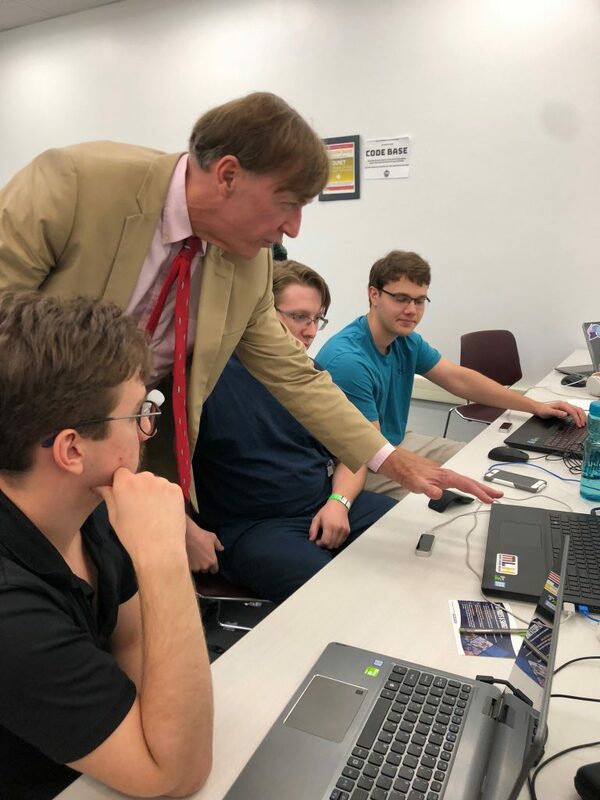 The hacker “astronauts” even had a surprise visit by President Samuel Stanley on Saturday, who got a personal demonstration of some of the projects. 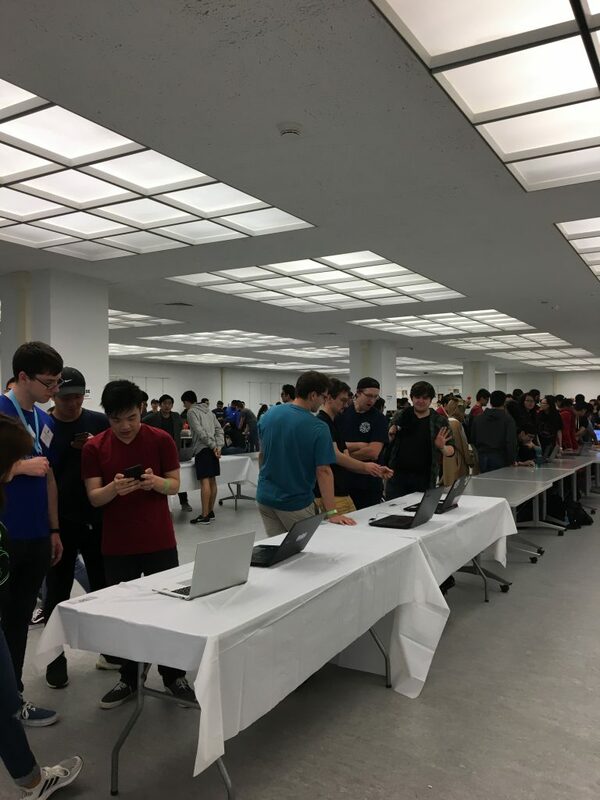 The Central Reading Room was truly transformed for a magical 24 hours into a code base, with diverse student teams working together to make coding happen in the Library! Thank you for a great partnership and congratulations to all the organizers and participants! See you next year! ‹ Special Collections Hosts Culper Spy Day Event!